Once, there was a little girl named Meredith. Meredith enjoyed spending her free time playing with her friends like any twelve-year-old would, but there was something different about Meredith. She was always interested in more advanced things like chemistry and history. Meredith never wanted to tell her friends about these interests because she was afraid she would be judged. She always learned more about these topics when she was by herself, so no one could find out about this. 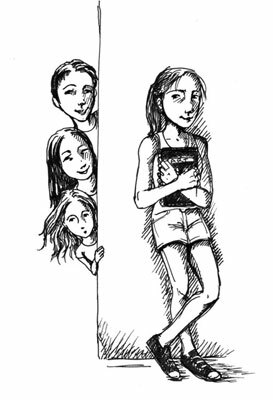 One day, a new girl, Josie, joined her sixth-grade class, and the new girl was asked to say three things about herself. Josie stood up and started to speak about her interests. First, she said she was interested in reading and writing stories. Second, she said she was interested in history. Third, she said she enjoyed chemistry. Meredith’s eyes lit up with joy. Finally, she had found someone who had common interests as her. Later that day, Meredith found Josie on the playground and ran over to talk to her. They immediately became friends and started to play at each other’s houses on the weekend.